• The Hall of Fame Award which recognizes personalities making significant contributions to U.S.-Morocco business and commercial relations. The gala ball is also the major fundraising event for the AmCham. 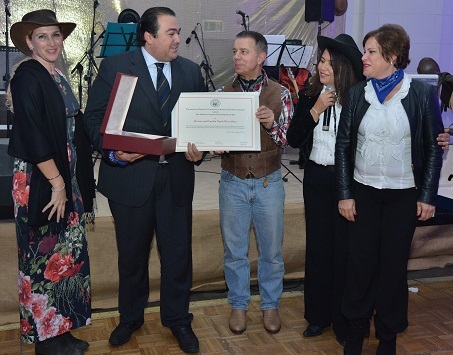 This year, AmCham partnered with the Eve Branson Foundation to build a wood work training center for Moroccan cooperatives in the High Atlas. Green Sahara Furniture donated a wood sculpture that was auctioned at the gala ball. This sculpture was bought by the U.S. Ambassador at 40,000 MAD to be donated to Eve Branson Foundation. truly demonstrates the impact of quality vs. quantity on sustainable community development. Procter and Gamble has a multitude of programs including, puberty education, mother and child health, Ramadan iftar distribution, youth sports programs, environmental projects and emergency disaster relief programs. By partnering with local institutions, Procter and Gamble has established a foundation for sustainable growth with some of their programs entering their 15th year of success. Procter and Gamble has educated 3.5 million girls about puberty and 1.5 million mothers about maternity; it has served over 36,000 iftars during the holy month of Ramadan and was among the first companies to donate over 12 tons of rewashed and packed clothing to the recent flood victims in remote areas. This rare mix of commitment to long-term prosperity as well as reactionary relief efforts makes Procter and Gamble a force for impactful change in Morocco as well as the clear recipient of the AmCham Corporate Citizenship Award. 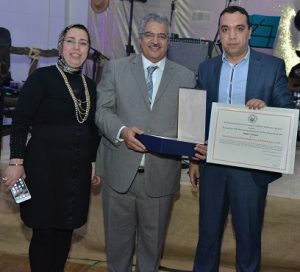 Procter and Gamble Sales Director receiving the CSR Award from the AmCham CSR jury composed of Nicole Theriot, U.S. Consul General, Leila Miyara, Afem President and Driss Ouaouicha, President of Al Akhawayn University. The 2014 AmCham Hall of Fame Award was awarded to Rachad Bouhlal, Ambassador of the kingdom of Morocco to the USA for his active contribution to the ongoing US-Morocco Strategic dialogue, for hosting two productive Business development conferences in DC and Texas and for facilitating the signature of two MoU’s between AmCham Morocco, Forth Worth Chamber of Commerce and Dallas Regional Chamber of Commerce in addition to his hosting the AmCham annual Door knock delegation in DC in April 2014. Ambassador Rachad Bouhlal was appointed by King Mohammed VI as Ambassador of the Kingdom of Morocco to the United States of America on December 6th, 2011. He previously served as Ambassador to Germany and to the European Union, Belgium and Luxembourg. Ambassador Bouhlal also held the position of Secretary General of the Ministry of Foreign Affairs and Cooperation; Senior Advisor to the Prime Minister for Economic and Financial Affairs; Secretary General of the Ministry of Foreign Trade and Investments; Director of Fisheries, Ministry of Fisheries and Merchant Marine; and Deputy Director of the Trade Division, Ministry of Finance. He received his undergraduate degree in Mathematics in 1970 then his MBA in Rouen, France. He was awarded the Order of the Throne of the Kingdom of Morocco; the Commander of the Order of Leopold by the King of Belgium; the Grand Cross of the Federal Republic of Germany by the President of Germany as well as Officer of the Legion of Honor, France. 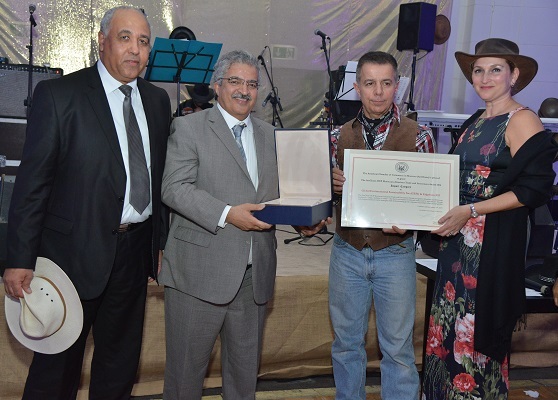 Mr. Bouhlal is a founding Member of the Ribat El Fath Association for Sustainable Development. He is a pilot and the President of the Rabat Royal Air Club. 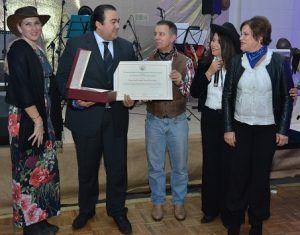 In addition, Mr. Bouhlal is the President and founding member of the Wildlife Film Festival of Rabat. 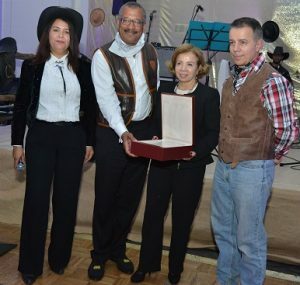 Mrs. Bouhlal receiving the AmCham Hall of Fame Award from Ambassador Dwight Bush, Walter Siouffi, AmCham President and Rabia El Alama. The AmCham-OCP Trade and Investment Award – Investment Award Category – was awarded to CMCP-International Paper Morocco. CMCP is in the paper packaging industry. It has two modern box plants located in strategic geographic zones in Casablanca, Agadir and a paper mill in Kenitra. It employs about 1,350 people and has invested about 18.3 million US$ over the past three years to set up an ultra modern unit including a water treatment station, the first one of such level to be launched in Morocco. The company has increased its production capacity to serve increasing domestic and export needs to over 230,000 tons / year. CMCP is the largest consumer of recycled paper in Morocco, using 70% of the total collection. Additionally, over 90% of the containerboard produced in Kenitra is made from recycled fiber. CMCP serves the domestic market and exports to Spain, Egypt, Ghana, Cameroon, Mauritania and Ivory Coast. CMCP is certified ISO 9001 and has built its reputation as a reliable supplier by its commitment to developing sound practices and complying with ethical standards. 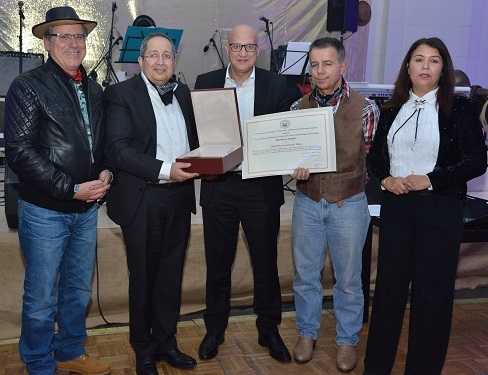 Khalid Lahbabi, HR Director of CMCP receiving the Investment Award from AmCham Vice President, Azzedine Kettani and Mr. El Korno, OCP Sales Director. 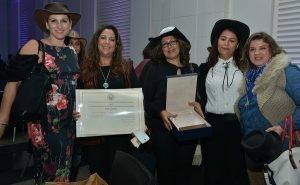 The AmCham-OCP Trade and Investment Award -Import Award Category – was awarded to Global Environmental Sustainability Inc GESI & Edgeboro EII (ECO MED GROUP). GESI is in the Waste Management and Renewable Energy business. GESI has invested 8 million US$ and imported 17, 5 million US$ of ‘Made in US equipment’ over the past three years. GESI has created 165 jobs, introduced new products including Generators, Evaporators, and other heavy equipment made in U.S. GESI has secured several contracts in Morocco with total value of 225 million US$. GESI supports several orphanages and disaster relief programs in Morocco and all the company projects are directed towards the protection of the environment. Ahmed Hamidi, CEO of GESI receiving the Award from Aziz Bidah, AmCham Vice President, Walter Siouffi and U.S. Consul General, Nicole Theriot. 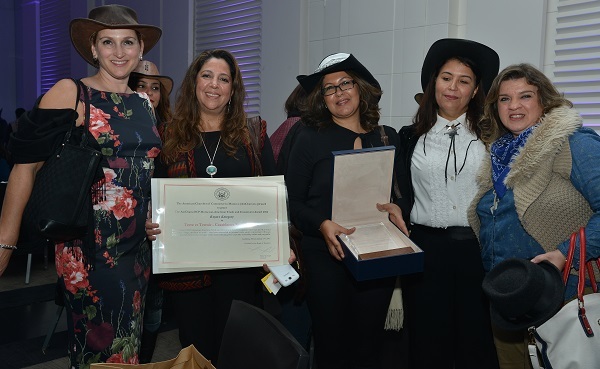 The AmCham-OCP Trade and Investment Award – Export Award Category – was awarded to Terre et Terroir for their brand ‘Casablanca Secrets’. Terre et Terroir is a small, women owned company specializing in natural cosmetics and wellness products. Terre et Terroir has invested 1.5 million DH and employs 12 people. Terre et Terroir is certified ECOCERT and USDA-NOP, using certified and recycled packaging, buying from women cooperatives, paying them fair prices, and providing free training and capacity building programs to women cooperatives and national human development centers. Terre et Terroir joined the AmCham Export Lab funded by USAID and CEED and has benefited from training, mentoring, and branding sessions by AmCham. As a result of these sessions, Terre et Terroir has introduced a new brand specific to the U.S. market – ‘Casablanca Secrets’ – composed of a range of products including moisturizing oils, massage oils, body milks and Moroccan hammam ritual products. This company is making their first entrance to the U.S. market by exporting the first order of about 30,000 US$. 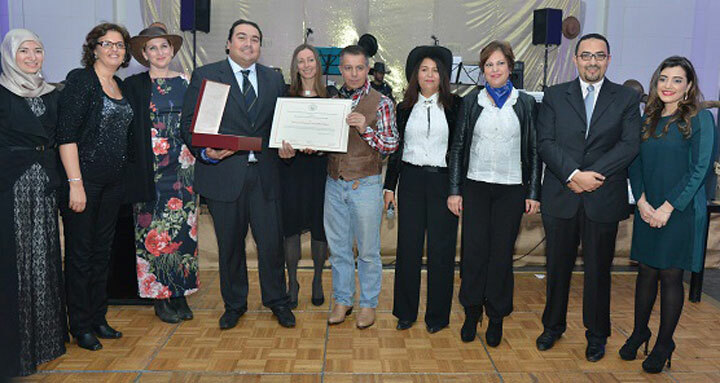 Terre et Terroir Team receiving the Export Award from the U.S. Ambassador and AmCham President. Terre et Terroir Team with Nicole Theriot and Rabia El Alama. 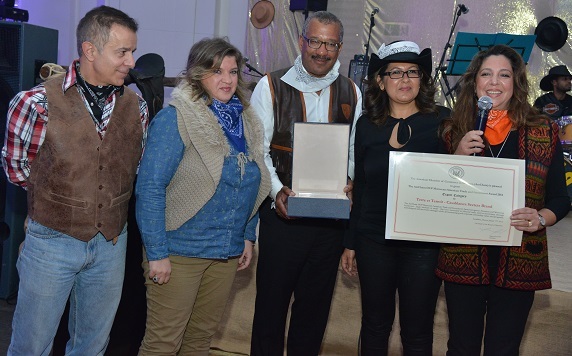 awarded to Mostafa El Obbade, CEO of Dell Morocco and to Mr. Sebastian from Jones Lasalle.